Spend a Little – Save a Lot: Helpful Paint Tools to Make your Job Easier! When you walk the aisles of our paint department, you will find many neat items, all designed to make your next paint job cleaner, easier, and more efficient than ever before. We decided to combine many of them and bring them to you all at once. Here are some of our favorites! 3M patch plus primer3M paint and primer – This product has been out on the market for a few years now. It is great for quick patching of holes in the wall caused from picture frames or other items. Because the primer is actually part of the spackling, you can paint in as little as 30 minutes. The primer prevents topcoats of paint from being absorbed into the patch and looking duller than the rest of the wall. Patches are now hidden to perfection with one less step! 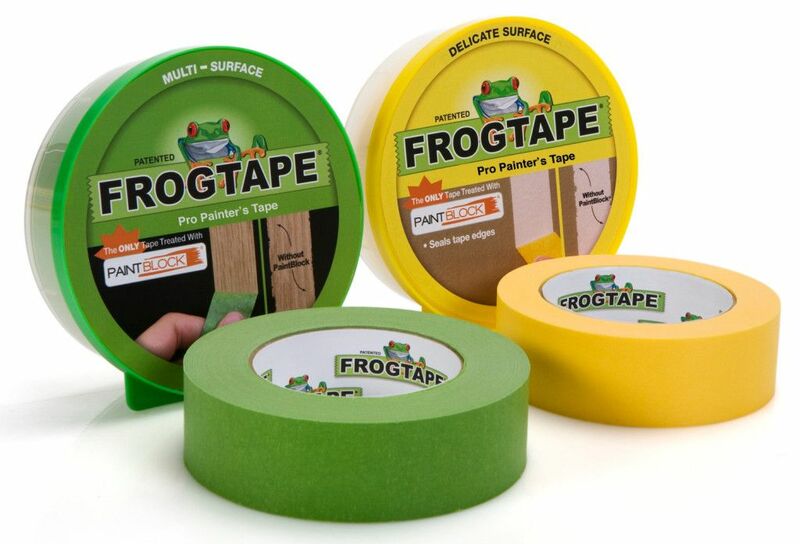 Frogtape – is the leader in PaintBlock technology. They were the first company to market a treated tape that actually seals tape edges and creates sharp lines every time! The multi-surface green FrogTape has now been superseded by FrogTape for delicate surfaces (newly painted walls) and for textured surfaces. Brush and Roller Cleaner Brush and Roller Cleaner – this little device speeds up paint brush and roller cleaning. For rollers, the curved edge works great to drain the roller of excess paint so that it does not go to waste. The brush cleaner side of this tool features thin metal tines that spread out the hairs of the paint brush so that paint can be rinsed away. Cleaning your brush with this tool makes it seem like a new brush every time you paint. 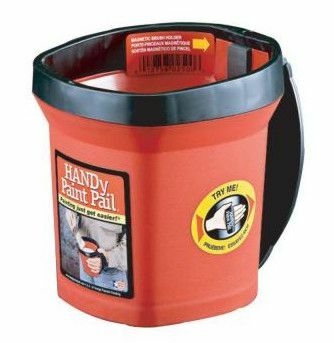 Handy Paint Cup – is exactly what you would think. This convenience cup with handle holds about 1 pint of paint and has a small magnet on the inside that will hold your paint brush vertical when not in use. The bristles point down so you don’t have to worry about drips falling on the floor or carpeting. Neat, simple solution to making the brush work easier on your next paint job. Fits-All Paint Can SpoutFits - All Paint Can Spout – Clips onto the rim of any paint can and makes for easy pouring of paint. No more messy paint inside the rim! Latex Paint Hardener – Turns leftover paint solid so that it can be put to the curb for trash pickup. This product is easy to use and acts fast! One 3.5 oz package will harden up to 2/3 gallon of leftover paint or stain (latex and acrylic only). Motsenbocker’s Lift-Off Latex Paint Remover – works instantly to remove fresh and old paint from any hard surface, including brick, windows, countertops, floors, concrete, glass, and more.